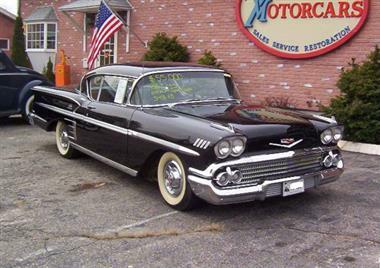 1958 Chevrolet Impala in Westbrook, CT for sale. Chevy Impala Sport Coupe. 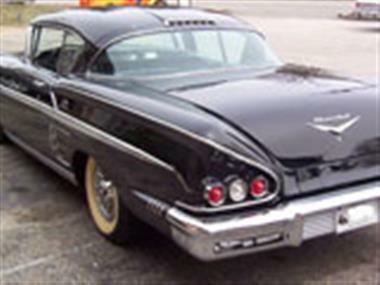 A original owner car 1958 Chevrolet Bel-air Impala Sport Coupe with Tri-power V8. vin# f58t169249. Older restoration with power disc brakes and stainless steel exhaust and mufflers. Its the Right One Numbers Matched real Tri-power 348. It was equipped with a drive line for maximum performance. Chevys first big block, the 348, was a success. It went down in history as one of their toughest and trouble-free engines. 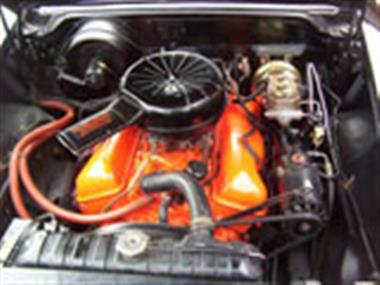 This car is equipped with over 25 options and accessories and has undergone a professionally restoration with attention to detail. Visit <a href=http://www.vintagemotorcarsllc.com/index.php/component/vehiclemanager/117/view_vehicle/54/Vintage%20Cars%201950s%20and%201960s/15/1958-chevrolet-impala-sport-coupe?Itemid=117 target=_blank>www.vintagemotorcarsllc.com</a>for more information of call 860-399-2311! 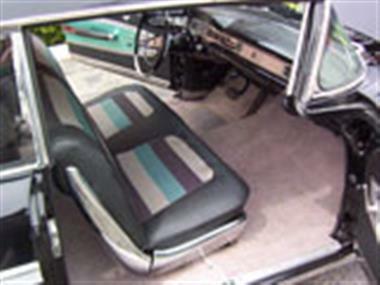 This vehicle is priced $14,497 less than the Average Market Price of $63,497 for a 1958 Chevrolet Impala. This is a Good Deal as it's priced 23.0 % below market avg. The Pie chart below shows the number of ads within different price ranges.